Winter is a tough time and not just because cold weather and low light levels aggravate pain and exhaustion. I lost my parents in late winter – Mum died 14 years ago today and Dad just over eight years ago – so this time of year always involves a sense of loss. My parents, however, weren’t ones for wallowing in emotions so I try to celebrate memories and integrate their legacy in my life in a constructive way. One example of this approach is my In Memoriam mitts. 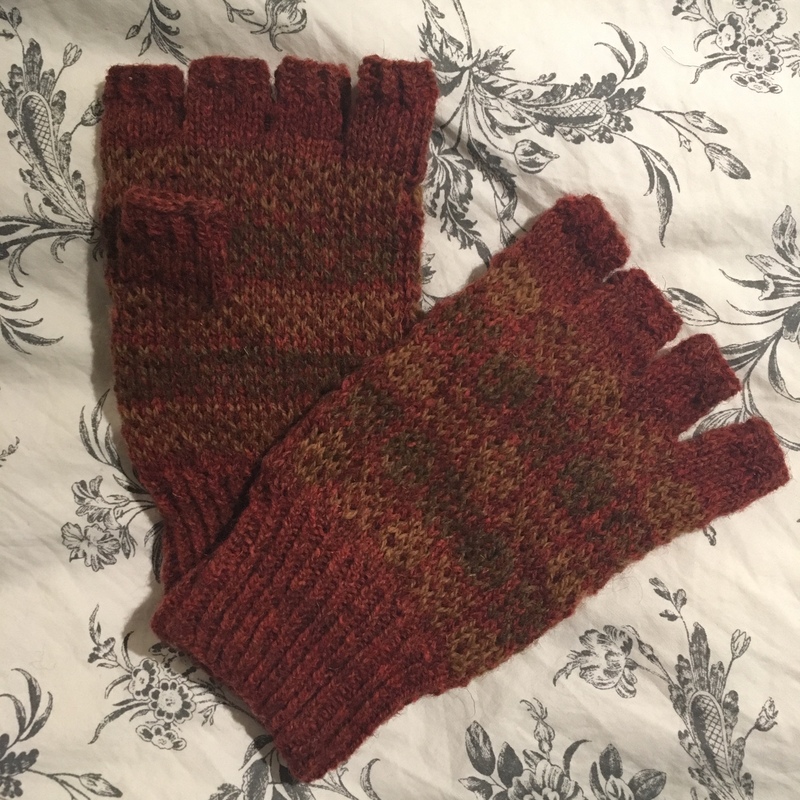 I was drawn to Ella Gordon’s Einar Mitts pattern from the moment I saw it and my mind kept coming back to it. There was an ancientness about the design that appealed to me. Ella wrote that she was inspired by a Up Helly Aa shield but the ragged circular design reminded me of something else: battered ancient coins. The kind found in archaeological digs along with pottery shards and other signs of civilisation and trade. The kind of artefacts that fascinated me as a child when I discovered history and archaeology. Once my mind had wandered to coins and digs, all I could think of were earthy shades of clay; hints of glinting minerals covered by the compacted soil of ages; the slow, meticulous brushing and trowelling archaeologists do when the spot a colour shift that suggests the presence of a foreign object in the soil. With these ideas swirling around my head I knew exactly which wool I wanted to use. Three skeins of Masgot Fine dyed in earthy natural shades by Jules of Woollenflower. This wool is a hearty woollen spun 4-ply that comes from a French breed raised for meat. The sheep’s fleece is therefore considered a waste by-product but Jules spotted its potential and added it to her range. I had three shades of this wool: a warm russet, an ochre and a tweedy umber that had a greenish undertone, almost like the colour of faded bracken. I dithered a little about how to use the colours because I knew my instincts went against conventional colourwork wisdom. The sensible approach is to go for high contrast which would mean using the ochre as the main colour and the russet and umber for the contrasts. I, however, didn’t want a high contrast. The whole point of my interpretation of the Einar Mitts was that I wanted the coins to be lost in layers of iron-rich clay, treasures that could only be uncovered through close inspection of the different mineral qualities of the soil. I started knitting on this basis, worrying slightly that my contrary approach was foolhardy. But then I relaxed. I have been contrary for much of my life. I was about five when I learnt that it was okay to not follow the herd. It was one of those lessons that mum and dad guided me through as a child despite the painful circumstances. 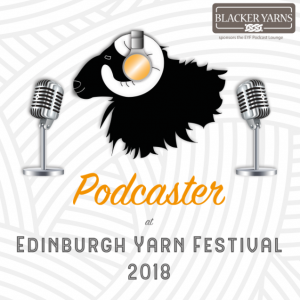 When I reached the first two pattern repeats I was excited that I had broken the rules –another lesson my parents taught me: it’s okay to break certain rules as long as you know what the rules are and why you’re breaking them. The colours were doing everything I wanted them to. They were low contrast. 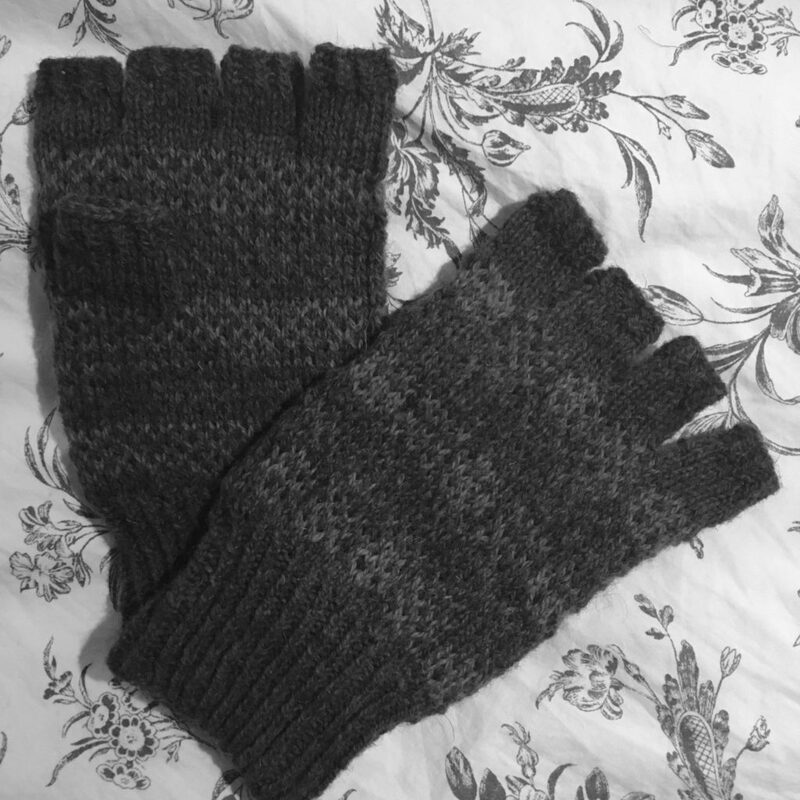 Barely discernible on a black and white photo of the mitts (a common method used these days to help choose colours for stranded colourwork), but tantalisingly they drew me in just as iron-rich clay would. They invited close inspection and encouraged me to trust the subtleties my eyes were registering. Since finishing and wearing my new mittens they continue to captivate me. I often catch myself looking at them closely, drawn in again and again by the earthy, mineral nature of the colours. Almost seeing glints of discoloured metal in the ochre and umber, only to realise it’s vanished as soon as I spot it. 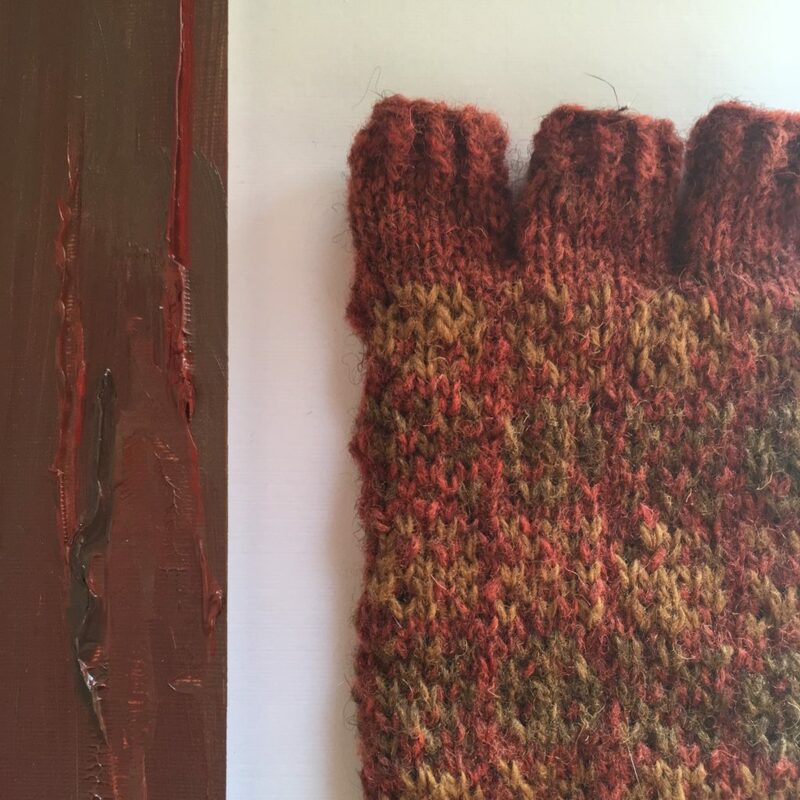 These mittens may not be flashy or obvious but they are intriguing and an endless conversation between my eyes, the wool, the natural shades and my imagination. I feel like my eyes are doing what archaeologists do with their eyes and tools: methodically sweeping away layers of dust to reveal what lies beneath the surface. And in this methodical, slow discovery lies the longevity of these mitts. In getting to know them over time, they become imbued with meaning. They are the embodiment of many connections rather than an accessory for a season. My parents would never have considered themselves environmentalists but having grown up during the Second World War and the Austerity Years that lasted into the 50s, they understood the value of everyday resources. As a result they instilled in me the above traits, which make it a lot easier to pursue an environmentally kinder life. They are not pre-requisites for this but they certainly make it easier to avoid the latest trend or novelty; avoid resource intensive ‘convenience’ options; invest in discovering and enjoying what I have, and generally slow my rate of consumption. And for this, I am extremely grateful to my parents. Those colours perfectly represent an archeological fig. My first thought was that the clay colour resembles the Roman Terra Sigilliata or fine wares pottery. I gather it was in such common use that it’s a regular find on excavations!